The Right Brain: Who Just Joined? 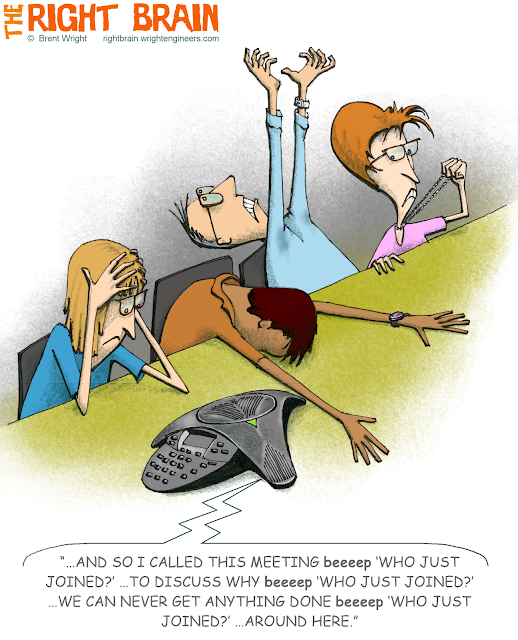 Remind you of the first 10 minutes of your last conference call? You'd think we'd all have this down by now. 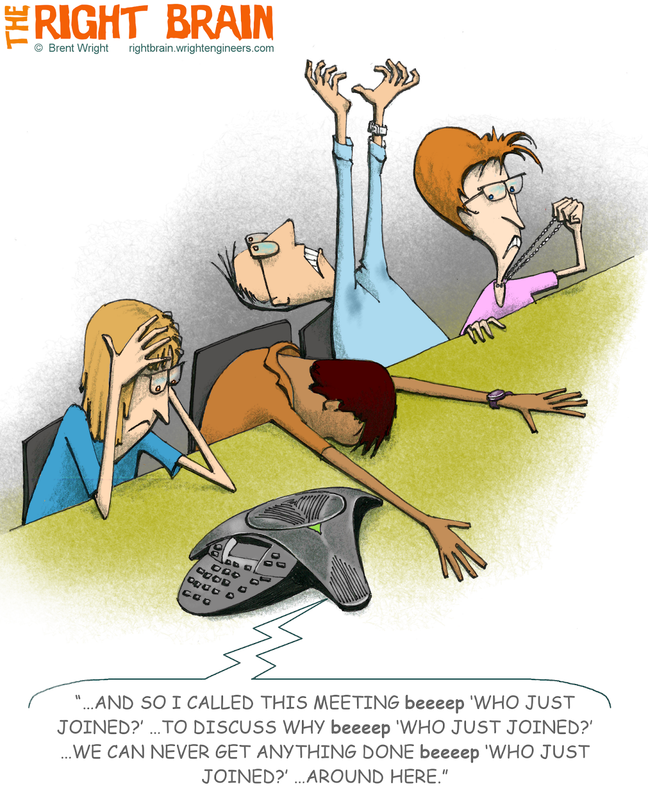 I don't know what's more annoying - the five people who each join late and want to be caught up while everyone else waits, the person who has no idea how to work the mute, or the guy who is obviously taking the call in the restroom. For a painfully accurate yet hilarious YouTube video mocking the "fun" of conference calls, click here.